This has to be one of our favourites. Skulls are iconic and will never go out of fashion. This little beauty is the perfect example of something that can be worn every day or layered with other pieces for maximum impact. 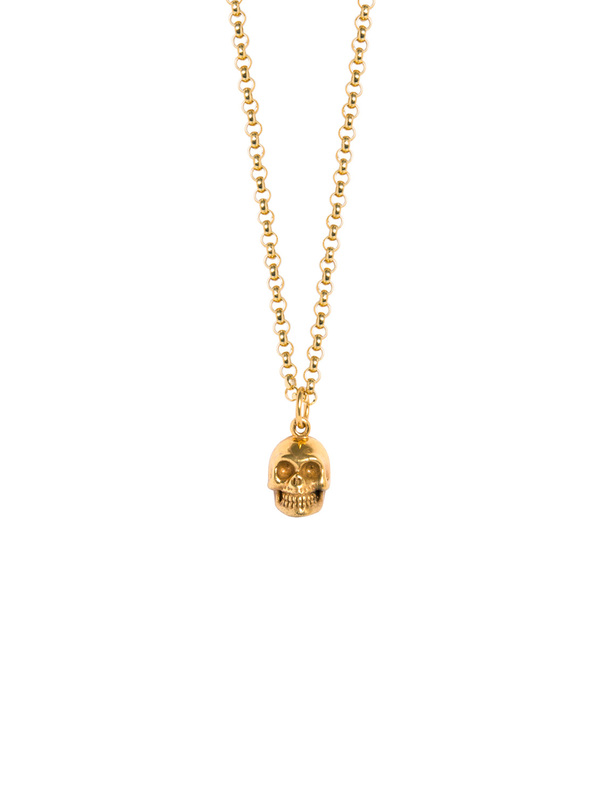 The gold skull measures just over 1cm in length and hangs on a 50cm 23.5 karat gold plated fine belcher chain.